My team prepared a business plan for their online presence which outlined the marketing, design, content generation, and development detail for the next 3 years. 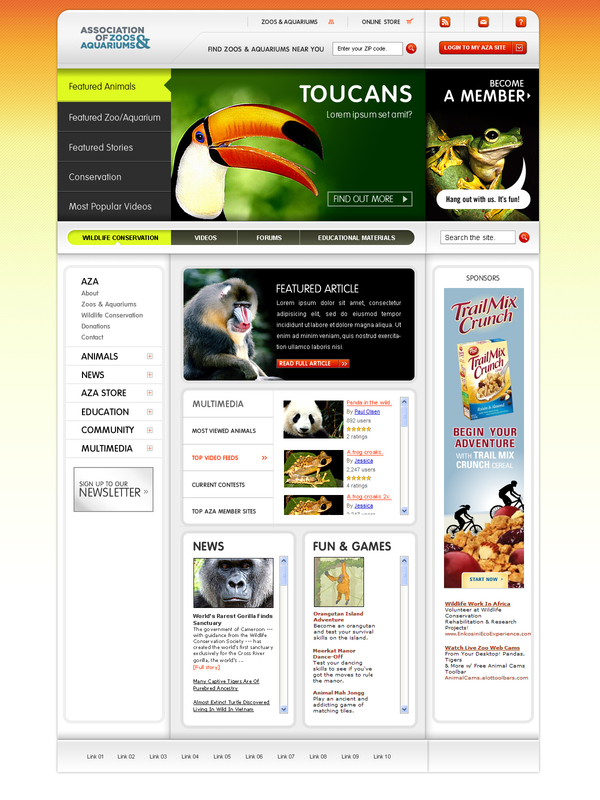 We devised a community-based web development plan employing best Web 2.0 practices gleaned from best-of-class community sites, content collaborative sites, and nature sites like AnimalPlanet and National Geographic. The goal of the Web 2.0 strategy is to allow the audience to dictate and provide content, to create a web presence that is dynamic, growing, and ultimately profitable for AZA and its partners. Roles: Lead user experience consultant, prototype design, user interface designs.